Turners Landscapes have many years of experience in the landscaping industry and aim to maintain their reputation for being a well established landscaping company in Wiltshire. The team have always demonstrated their hard working attitude, ability and dedication on every single job undertaken. As a result, we have managed to secure loyal customers who continue to use our landscaping services over and over again. This mindset has helped us grow and develop in Wiltshire and the surrounding areas. Not only is the team focused on executing a high quality service and finish, but we are equally focused on being fully transparent, honest and friendly when it comes to answering any questions or helping you solve any particular problems with the project in hand. Customer care is as important after the project is complete as it is before, so please feel welcome to get in touch for a free consultation. All of our team are qualified and have experience in various types of landscaping environments in soft landscaping, hard landscaping, garden design, garden maintenance and timber work. 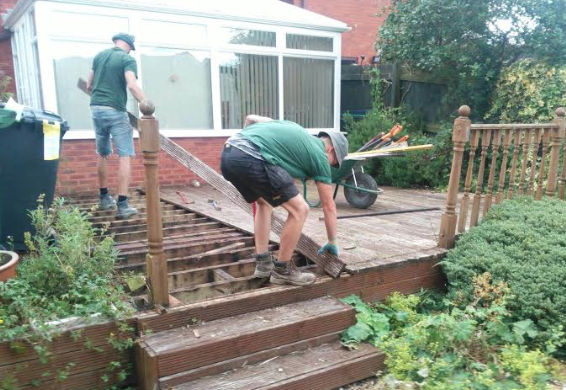 From a small domestic patio to a large commercial forecourt we have the man power, skills and expertise to execute all work to the highest of standards. One thing that Turners Landscapes feel is extremely important is allowing our customers to feel safe, secure and comfortable at all times when work is taking place. Treating your property and land as if it was our own with as little disruption to your daily life is key.